Leaf spring U-Bolt Skid Plates have a screw-in shock stud on the plate. 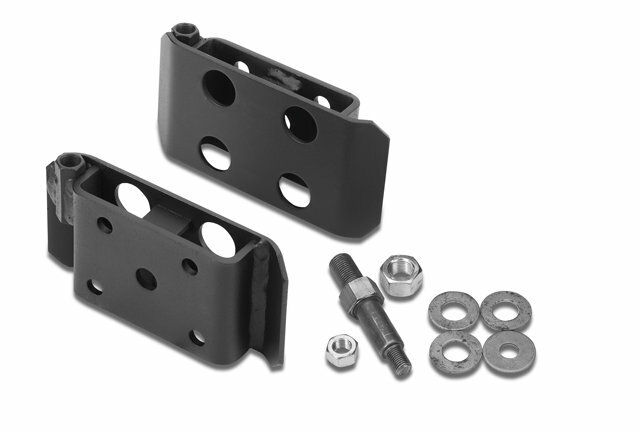 Protect your U-Bolts with these heavy duty jig welded U-Bolt plates with removable shock stud. When you bend the shock stud, just unscrew and replace. This saves replacing the entire skid plate. Another better idea by Warrior Products. Our skid plates are power coated black for long life.